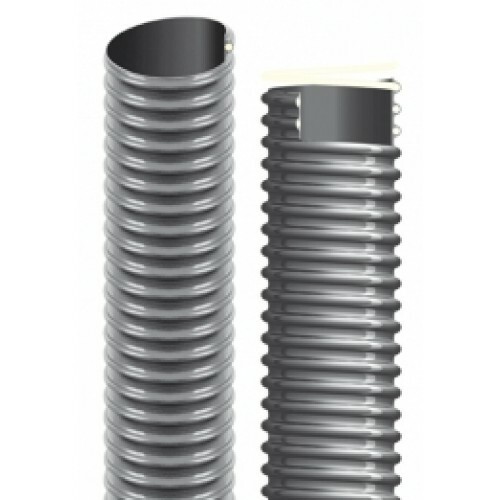 Technical features: PVC ducting reinforced with an anti-shock rigid PVC spiral. Perfectly smooth inside, outside slightly corrugated to ensure optimization of flow properties. Wall thickness from 0.8mm to 1.5mm. Properties: High mechanical characteristics, very light and flexible, resistant to ozone and atmospherical agents, ageing, hydrolysis, UV Rays, and most chemicals. Halogens free, conform to RoHS. Suction of air, fumes, gas, powders, sawing, dust. Air conditioning and ventilation systems, dust extraction, woodworking processing plants.